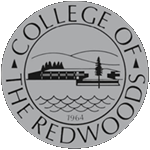 In support of the college’s mission and Objective 1.6 of the College of the Redwoods Strategic Plan (Support staff and faculty development and instructional innovation), the Professional Development Committee provides a comprehensive professional development program to include assessment of needs, planning and evaluation of activities. The committee meets monthly to coordinate planning, scheduling, and assessment of professional development activities and to ensure that proposed activities are linked to the college mission and goals. The committee is chaired by the Director & Chief Human Resources Officer and is comprised of representatives from each of the campus constituent groups. The Professional Development Committee has strived to offer trainings staff have indicated interest in as well as what are linked to the mission and goals of the District. Below are links that will take you to documents listing trainings provided to staff since the fall of 2015. A survey is sent out annually in the spring to all staff to survey professional development interests. This survey helps us plan for the upcoming year. We look forward to continuing a very productive year and we encourage everyone to use the link on the left-hand side of this website to email the committee and propose ideas for trainings. We'd love to hear any ideas you have!